Of course, that you should flush the toilet after peeing, but there are people who exaggerate in this and do that non-stop. If you’re one of those people who are constantly doing it, you’ll find that you spend more water and your account will be higher. Do not flush the toilet non-stop, clean the bathroom and keep hygiene to avoid exposure to harmful substances. 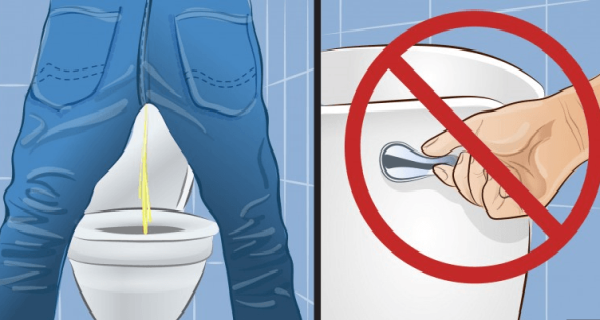 In addition, flushing water cause spreading germs from the toilet bowl through the bathroom and therefore you should constantly lower the lid and of course clean bathroom. You should not keep teeth brush near the toilet bowl because these dirty particles can go to the brush and then you put the brush in your mouth. It is best to keep the brush out of the bathroom.